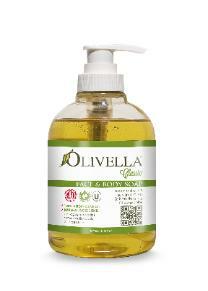 Olivella Liquid Soap 300 ml - 10.14 oz. 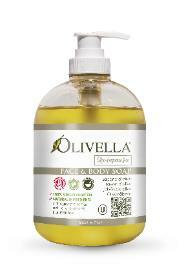 which hydrates the skin as it cleanses. enjoy its benefits of concentrated nutrients. sarcosinate, potassium citrate, perfume, sodium chloride, tetrasodium edta, bHt. Sodium Lauroyl Sarconisate, Sodium Chloride, Sodium Gluconate, Citric Acid. sensitive and delicate skin and the environment. the soap a pleasure to use.